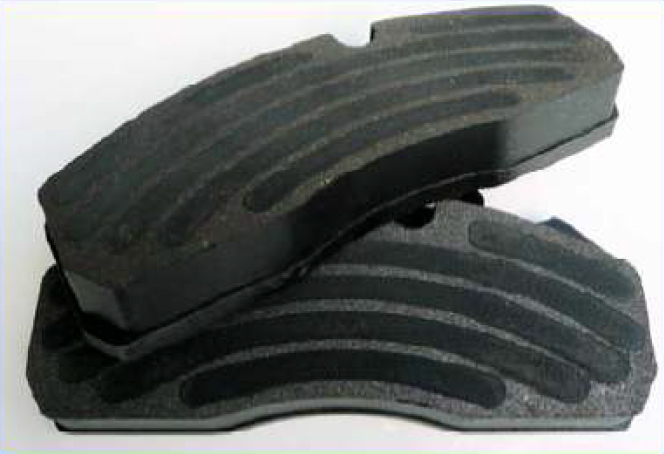 Our new and improved range of brake pads are being continually developed. One of the latest stages of this process being the introduction of the enhanced backplate technology. Rows of opposed hooks are machine rolled into the backplate to provide the best possible attachment for the friction material. The second development is the “bedding in” strips. Their purpose is to improve the initial brake performance during the bedding in process.